Below is an introduction guide to the Lake Nona Events calendar. 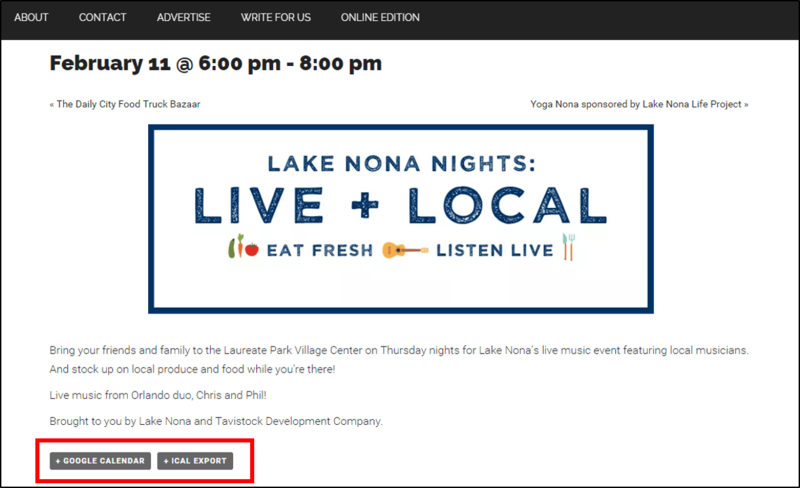 Nonahood News is proud to host the Lake Nona Events Calendar! This calendar features all Lake Nona events. Not only can we add events to the calendar, but you can too! 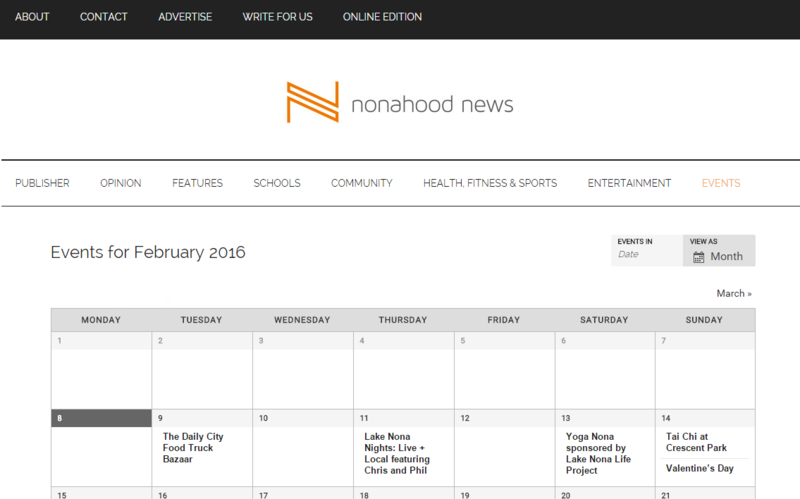 If your business, organization, school or association is hosting an event open to the community, you can now add it to the Nonahood News Events Calendar. This way you can get maximum exposure for your events and causes! There are two ways to add them. We list both ways below. Anyone can submit an event to add to the Community Calendar. Just go to our homepage, hover over Events in our menu and then select “Add Event.” You will then be asked for the event details such as title, description, time and date, etc. You can add an event picture and even set it up as recurring. Once approved by our team, it will appear on the Events Calendar. Nonahood News reserves the right to refuse any event that is deemed inappropriate for our readers. If you already have an event created in Facebook, it is really easy to link it to the Nonahood Events Calendar. This way you don’t have to enter event information in two different places! Below are more details. We can only link Facebook events that have been created by a Facebook Page or Facebook Group. We cannot link events that have been created using a personal Facebook account. To set up your link, comment below with the link to the Facebook Page or specific Facebook Event. Once approved by our team it will appear on the Events Calendar. If you have regular events, we encourage you to post the link to your Facebook Page. By doing this, all of our Facebook Events created by your Facebook Page will automatically appear on the Events Calendar. Please note that if the Facebook Event is changed in Facebook, it is not automatically updated on our Events Calendar. If your event does change, please notify our team via email at info@nonahoodnews.com. Nonahood News reserves the right to refuse any event that is deemed inappropriate for our readers. Another great feature of our Events Calendar, is the ability to export events to your personal calendar. At the bottom of the page, you have the option to export the month’s events into a .ics file option. This can easily then be imported into your email client such as Microsoft Outlook. You also have the option to export individual events to either Google Calendar or using the .ics file. What events are you going to add?